Love bounce leaves my clothes smelling great and soft.. I do a lot of laundry. it seems like it never ends with a family of 6. I prefer to use Bounce dryer sheets because they do a good job of preventing the clothes from sticking together due to static. Also, I love the smell. I have tried other dryer sheets but they just don't help make the clothes smell great like Bounce does. Also, it has never bothered my children's sensitive skin. I even use it with my infant's clothes and blankets. I do not necessarily have a favorite scent. I change the scent depending on my mood when I buy the dryer sheets. 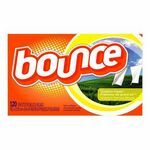 Performance After all these years and the thousands of loads of laundry I have done, I can always rely on Bounce. It works great, time after time. The sheets even work great to keep in my dresser drawers and closets to help keep things smelling great. And I know when I use Bounce that I do not need to worry about static. Scent I love the scent. It helps make all of my clothes and towels smell great. I do not have to worry about how they smell when I put them away. It doesn't have to be a particular scent. They all smell great. Bounce dryer sheets do a great job of making my clothes smell great for a long time. They also keep my underwear and lingerie drawers fresh and smelling good by putting a sheet in each one. Bounce also keeps static cling to a minimum and I would recommend this product to anyone interested in a product that does exactly what it is suppose to do while not being too expensive to afford. I am responsible for laundry in my household. A few months ago my wife asked me to get rid of the house brand dryer sheets because there wasn't much smell and she didn't like the smell that WAS there. We went through various branded dryer sheets, and the bounce dryer sheets were adequate. The problem is that they are premium priced at full retail price and rarely go on sale. 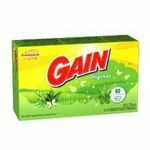 They do the job adequately but the Arm & hammer and the Gain dryer sheets work better and are a better value. Performance the clothes were reasonably softened and the scent was strong enough and pleasant enough. However, other brand work as well or better and do not cost as much Scent pleasant, strong scent but the product is overpriced. 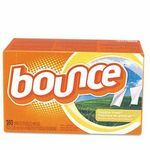 Bounce Dryer Sheets work well to keep static at bay! I love using these bounce dryer sheets. They really do work well at keeping static out of my laundry and also can be purchased at a reasonable price. My one complaint is that the great smell does not last long after getting the laundry out of the dryer. The clothes smell great while drying, but quickly lose the fresh smell that I love on clean laundry. Performance Works great to keep clothes static free! Scent Great scent, but needs to last longer. I have used Bounce dryer sheets nearly my whole life, mainly out of habit. I had a coupon for a different brand a few months ago and thought I would try them to save a little money. It was then that I realized not all dryer sheets are created equal! Bounce left my clothes so much softer than the other brand. The other brand made my towels rough and stiff. I will stick with my Bounce from now on! They are easy to use, fairly inexpensive, and have a nice subtle (and not too overwhelming) smell. Bounce Dryer Sheets are worth the money. 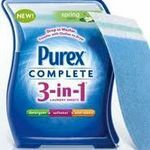 Clothes come out smelling clean but don't have an over powering smell like most dryer sheets. I find a large load only needs two sheets and a small one sheet. 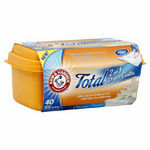 I often put aside sheets used for small loads then do 4 small load sheets for one large load and it works just as fine. As someone with sensitive skin I'm able to use Bounce with no problems at all.